Conti Tech presents the new generation of heatable hose lines for SCR exhaust gas purification and lines for biofuels, which play an important role in developing more environmentally-friendly machines. With the help of a urea solution (AdBlue), selective catalytic reduction (SCR) technology transforms harmful nitrogen oxide (Nox) into water vapor and nitrogen. In marketing a heatable EPDM-based hose line module developed especially for SCR, the company remains at the forefront of this forward-looking technology. 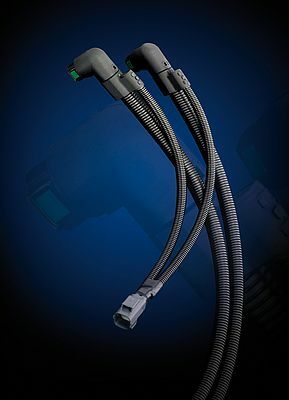 Among other things, the second generation has heated quick connectors with optimized contacting, guaranteeing that the medium always thaws, even up close to the plug-in connection.